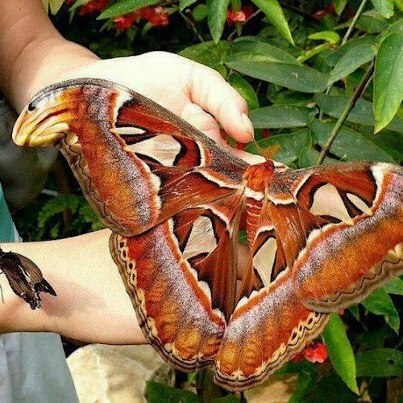 The Atlas Moth has the largest wing surface area of all Lepidoptera (butterflies & moths). It is native to SE Asian countries & India, particularly the jungles of Malaysia and can vary in colour a bit. This monster can only be appreciated in person. Maximum age 5 days - Because it has a rolled tongue it can't eat.